HEIRLOOM QUALITY THAT YOU CAN RIDE. We have always pushed the limits of wood fabrication. For a Portland company, what better way to explore those limits than to design a bike? Through the years we have tested materials and techniques. This is our labor of love; these bikes are not for sale. With our most recent wood bike, the Woodsman, we have created wood and steel beauty designed to be a go-to urban bike. Every wood bike needs steel as a connection to the components, and most try to hide it behind intricate joinery. We decided to show it off and make it distinct from the wood, which can then be left to do what it does best on a bike: absorb vibration. By laminating 11 layers of Canadian maple with a two-part marine-grade epoxy (similar to skateboard manufacturing), we are able to create complex geometries without joinery and with the grain always running the same direction as the "tubes." By varying the width and number of laminates, and by including layers of carbon fiber in the lay-ups, we can vary the amount of stiffness and spring for each bike. 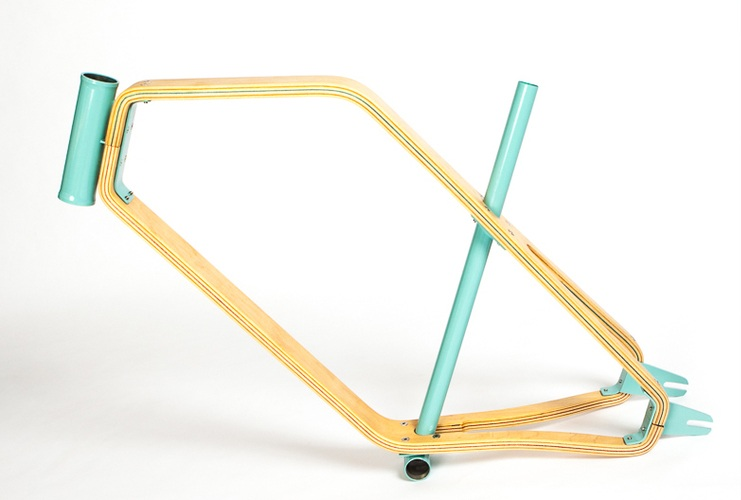 We've designed the Woodsman to be fun to ride and simple to maintain. A two-speed, automatic-shifting hub and a coaster break eliminate the need for any cables and lets the rider accelerate quickly. An integrated walnut fender keeps the bum dry, and a matching glove box stows personal items. CAMPUS MINI VELO + THE BIKE EVOLUTION. 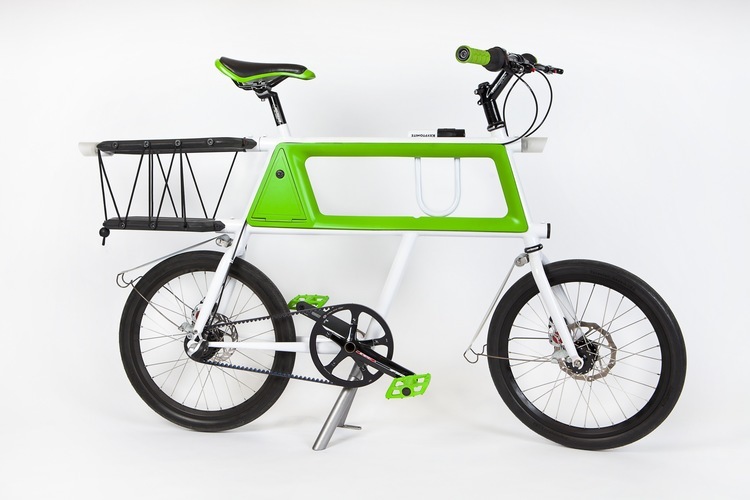 In the summer of 2011, Matt Raphael was a part of a small team assembled for a single summer through the University of Oregon's Product Design program, and worked on the Mini Velo project. The result, as you can see, is one unique cycle specimen—a true team collaboration. It went on to win the student competition at Oregon Manifest and an IDEA Student Gold Medal. 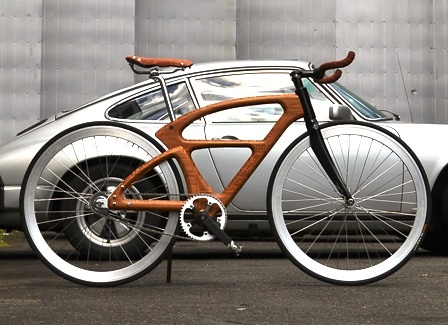 The bike-design passion took hold, and soon, visions of wooden bikes became prototypes—some working, some flexible and some downright dangerous. But each was a step towards the next innovation. We worked with Bamboo plywood, trying to create a relatively easy-to-reproduce frame out of sheet goods. Through trial and error, we tested geometries, materials, glues and fabrication methods. Often we were our own crash-test dummies. But give up, we did not. And when we realized we were no longer able to rely on the glue-ups and short grain direction of the bamboo plywood, that led us to the latest version, the Woodsman bentwood bike.